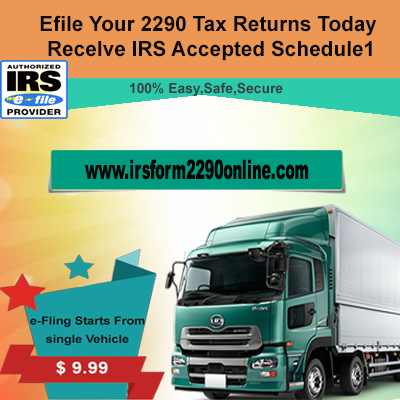 File 2290 Yourself by following IRS Form 2290 Instructions. 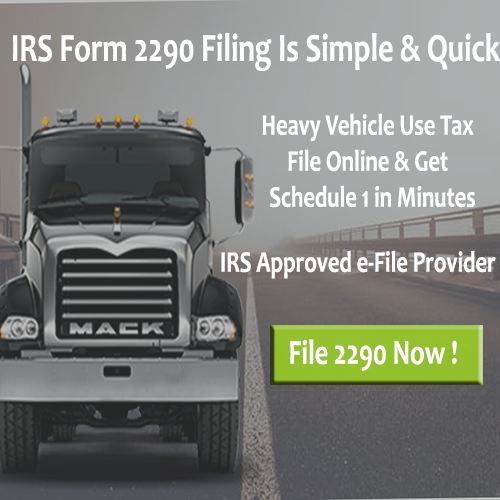 Get assistant to File IRS Form 2290 by yourself. 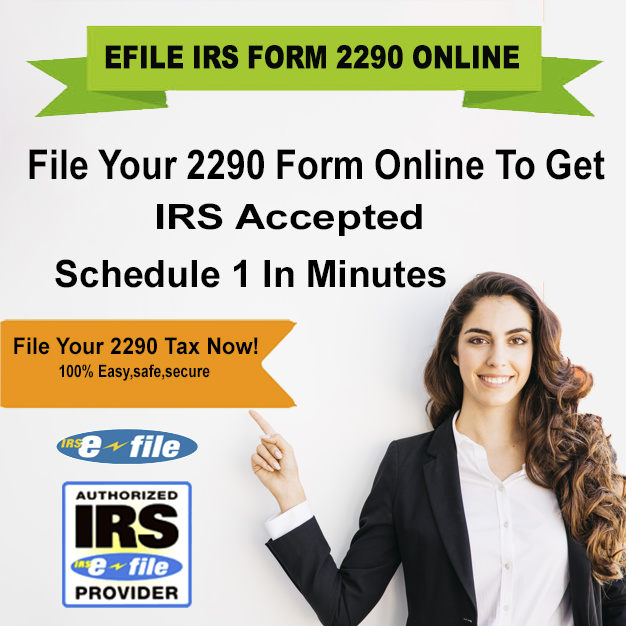 Start Filing 2290 Now on your own. We provide Full Service for our customers by Filing Form 2290 on behalf of them. We will take care of everything and Finish your 2290 Tax Online Filing. If VIN entered wrongly in previously filed 2290 Form then you can change and enter correct VIN again. Corrected VIN help you to get 2290 Schedule 1. Easy changes for increased Taxable Gross Weight, Exceeded Mileage Limit, VIN Corrections through IRS Form 2290 Online site. Easy refund from an IRS by filling Form 8849. You can also claim a credit from an IRS by filing Form 8849 form our site.